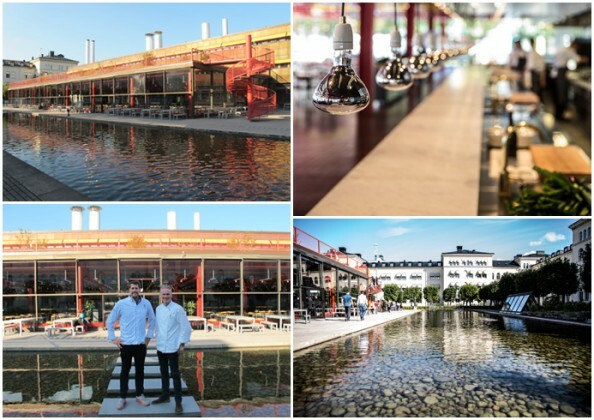 Nestled in a building built in 1971 and preserved like a piece of historic architecture, K-Märkt is already one of the most popular spots in Stockholm, only a few weeks after its opening. The lunchtime self-service is open to all, using the surrounding area like students and passing hipsters. But in the evening, the place can be rented out for private events. Stockholm Fashion Week has already booked it for a series of wacky parties. The vast hall and outside spaces, deserts of the night, act as the ideal party venue! But seeing as K-Märkt is a cantine like no other, there is also a chef’s table…in a room lined with glass cabinets in which meat slowly matures, a select group can try this special meal tray. And soon, a garden will be established on the roof terrace. Honestly, who wouldn’t dream about having such a cantine within reach of their office? Contact details: At Plume Voyage, we can tell you all about the hot spots of tomorrow today! K-Märkt is so new that there is no English website, but you can still check out the Swedish one!